Interested in learning to teach? Or looking to deepen your understanding of all aspects of yoga? 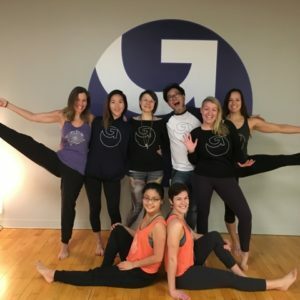 We are collaborating with Todd Inouye to offer a unique program that will deepen your connection to yoga, and then layer on the skills you need to teach and share this practice with others. Contact us for more information and to be sent information when the dates are confirmed. The first few sessions of the training feature a dynamic Yoga Studies Immersion, which will lead students on a empowering journey of self discovery through exploration of mind / body connection. 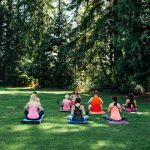 Complimented with yoga philosophic principals, the course is well rounded as an introduction to incredible practices and life affirming direction of the Yoga tradition. Each session has been designed to enable intimate knowledge of Anatomy, Physiology and Kinesiology through the lens of the Yoga tradition. A matrix of the body in optimal blueprint will be deeply taught and understood while expanding upon the rich dharma and incredible history of yoga. The philosophical underpinnings of the Yoga Tradition as presented in this course are non-sectarian and will be presented in such manner as to embrace and embody all faiths. It does ask that you come open minded and respectful of other traditions and be willing to objectively discuss, ask questions and explore ideas of spirit. Further goal of the training is to enable and empower each individual with a deep visceral understanding of what hatha yoga does to maintain, therapeutically heal, and manifest greater health, happiness and positive generating possibility. The Deeper Dimension of Yoga, Immersion Manual. Having completed the Yoga Immersions, the final portion of the Teacher Training will offer additional necessary elements to refine personal understandings so that cuing of asana for beginner and all level hatha yoga classes becomes more clear and systematic. 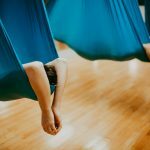 The program will review techniques in systemizing alignment principals, verbalizing, sequencing, and will encourage continued refinement into subtle realms of the energetic body. Short practicums will be introduced towards the end of the training followed by one on one meetings with the lead teacher reviewing insights, strengths and where continued focus can be directed to increase teaching most effectively. The course will also cover the “Seat of the Teacher” reviewing responsibility, expectation, code of ethics and possibilities within the modern business of Yoga. 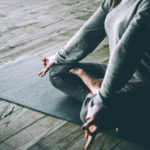 Complementary to the pragmatics of teaching, students will study the energetic body, refine advanced breath technique (pranayama) and explore the benefits of mantra and meditation. 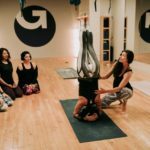 Completion and graduation of all 5 modules (In-depth Immersion and Teacher Training) will meet minimum requirements for personal registration to Yoga Alliance for the Yogapod/Sri Life 200 Hr Yoga Teacher Training.